Search Engine Optimization (SEO) is the main aspect in the blogging world. A blog without proper SEO is like a body without the soul. SEO plays a vital role in the popularity of your blog. Imagine yourself, writing a number of quality posts/articles but no reader to read your articles. In order to bring your article in top searches of search Engine (Google, Bing, Yahoo etc) you need to do proper SEO. If you are failing to do so, your article will not be able to reach out to its readers. Keyword stuffing is the activity of stuffing a web page full of words and keywords or phrases to manipulate a site’s rankings in search results. 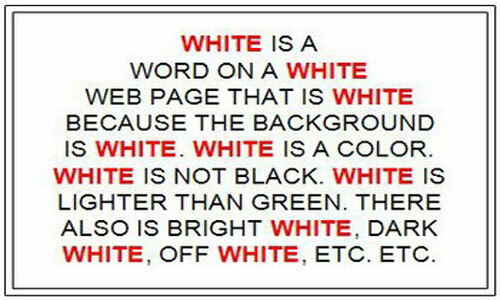 Keyword stuffing can be done in many ways – Using hidden text or making its color same as the background so that human eye cannot see it but search engine can recognize.For example, in below paragraph keyword ‘White’ is overly stuffed. If you are also practicing these tactics you should stop doing it as it will not boost your rankings permanently. The continual practice of doing this may earn you a penalty or worse case scenario, get your site blacklisted which means you won’t find your site in the search engine results pages anymore, it will have been removed from their index database. It’s confusing for a user and it’s especially confusing to Google which will view each of these URLs as distinct pages. It is important that you specify the preferred version to Google to help it better understand your site. You do so by adding the rel=“canonical” tag. Another way to ensure that only one URL is being indexed by Google is to have the alternate URLs 301 redirect into the preferred URL. A broken link is a hyperlink that no longer points to its intended destination. Imagine you have written a good article which contains few links to its important related stuff. Readers click on that link to learn something more and what he see is – 404 Page Not Found! Oops the link is broken. Sites naturally accumulate broken links. However, they’re a major nuisance to your visitors and Google doesn’t like them either. But, if they’re so natural, why does Google penalize you for them? If you are using WordPress, you can use plugins to detect broken link in your website. Such a plugin is Broken Link Checker. Always write unique and original content. Do not copy the content directly from the internet and publish it on your site(Though you can take ideas and write it in your words). There are many tools and techniques available which can detect how much of your content is copied from content. This is one of the common SEO mistakes that hurt your blog badly. This also inhibits a major role in your SEO rankings. Ideally, page titles should be unique and reflect the content of the web page so that search engine crawler can index it correctly. Also, it should not be misleading to the visitors. It should be relevant to your content. Meta descriptions should also not be overlooked. They’re your web page’s sales pitch in the search results, so you should aim to make these as persuasive and descriptive as possible within the 160 character limit. Search engines are not capable of scanning images. 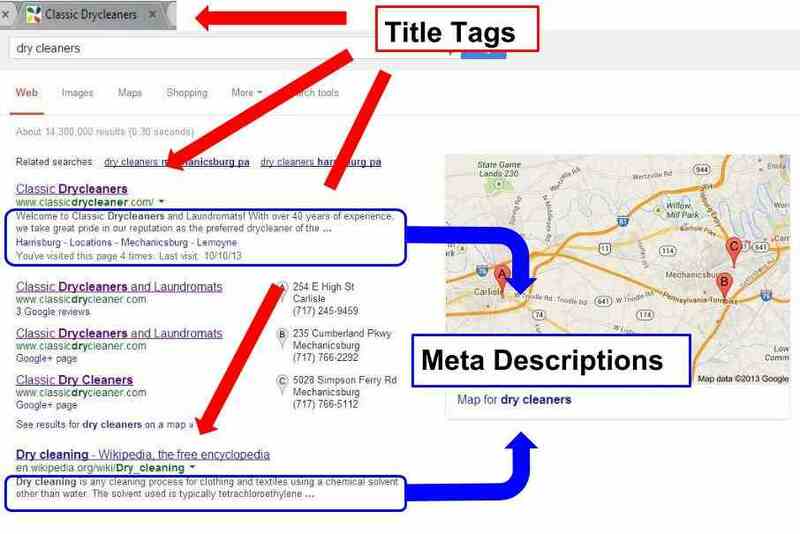 They utilize Alt tags for scanning and indexing purpose. A picture is just an image file if it’s not optimized for a keyword. To optimize it, use the ALT tag when inserting your image in a post; you’ll definitely see better results. Also, consider naming the file of the image as your keyword or at least to a defining term. For example, if you are writing an article on Sachin Tendulkar and showing his image it should not be something like – image01.jpg rather it should be Sachin tendulkar.jpg. When you add an image in your WordPress back office area, there is a box for the Alt tag that you can fill in. Robots.txt is a text file you put on your site to tell search robots which pages you would like them not to visit. Robots.txt is by no means mandatory for search engines but generally search engines obey what they are asked not to do. It is important to clarify that robots.txt is not a way from preventing search engines from crawling your site. A 404 page is what a user sees when they try to reach a non-existent page on your site (because they’ve clicked on a broken link, the page has been deleted, or they’ve mistyped a URL). A 404 page is called that because, in response to a request for a missing page, web servers send back an HTTP status code of 404 to indicate that a page is not found. While the standard 404 page can vary depending on your ISP, it usually doesn’t provide the user with any useful information, and most users may just surf away from your site. Try avoiding above listed common SEO mistakes; it will definitely help to increase your website ranking. Do share this article with your friends. Let us know your feedback and comments or any other SEO mistakes that we should avoid. Keyword stuffing depends on (Article) Word density.E.g. If your article is of ~1000 words, you can have 10 instances of your keywords without any issues. I would suggest you instead of stuffing keywords more, go for LSI keywords. Thanks for this awesome pies. I always follow the above guidelines but found myself to be guilty of one…. “Keywords suffing” and I want you to make me understand the rules. For instance, I’m targeting the keyword “Performance appraisals” if it appears in my article x10 am I still stuffing keyword? Please I’m really getting confused ????? Cool…:D These points made my problems clear. Thanks and keep helping us..